So the situation was: black screen on normal startup, but safe mode worked fine. I originally thought something was wrong with the startup process itself, perhaps BitLocker had gotten corrupted, but a startup repair eventually ruled that out. 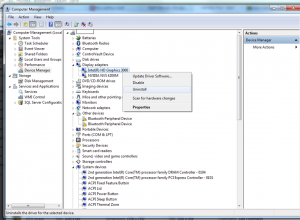 Simply uninstall the display adapter driver via Device Manager, reboot and it should be fixed. Windows 7 reinstalled the malfunctioning driver and it fixed the problem right away. I still recommend to be cautious when uninstalling drivers though, don’t want the screen to be permanently black would we.. 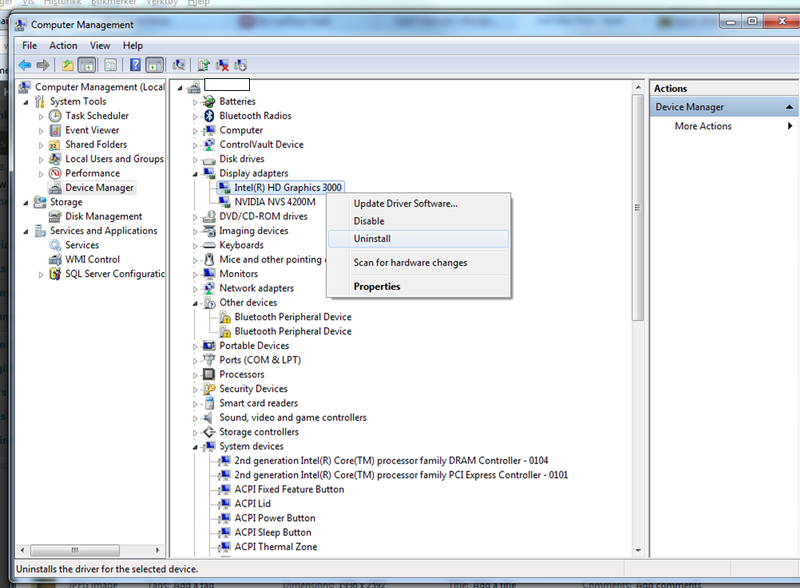 This entry was posted in Windows 7 and tagged adapter, BitLocker, black screen, Device, Device Manager, display, display adapter, driver, Fine, fix, graphic cards display adapter, http://en.kioskea.net/forum/affich-22454-screen-goes-blank-after-starting-windows, Manager, mode, problem, process, reading, reboot, repair, safe mode, screen, situation, something, startup, uninstall, Windows, Windows 7. Bookmark the permalink. You are the one person on the internet who has managed to solve my problem thanks a million, I recommend everyone to try your method!! !